There is more to New Zealand than what you see in The Lord of the Rings movies. You can take in the beauty of mountain vistas, ancient forests, volcanic landscapes and stunning coastline all within a day, and still have the chance to spot wildlife in its natural habitats. And while self-drive trips allow for flexibility in your travel plans, they are not the only way to experience the best of the country. You can also hit the road by train or coach, for instance. 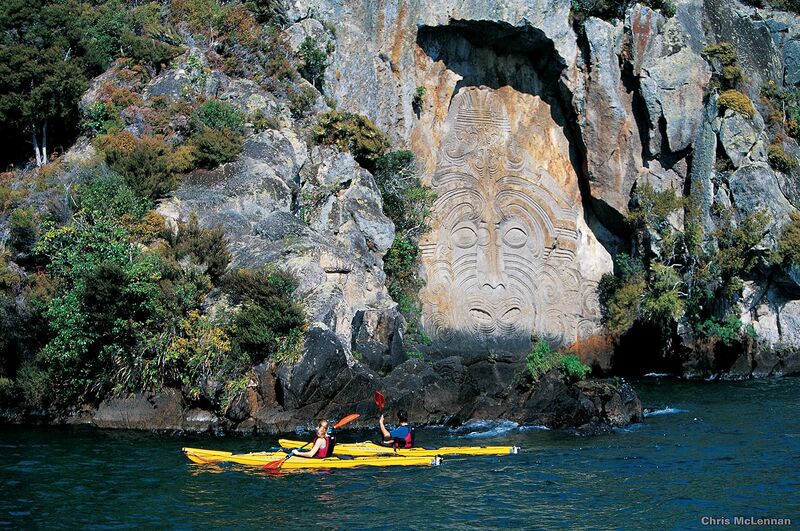 In general, getting around is easy, which makes New Zealand an accessible holiday destination. So come springtime from September to November, be prepared for some fun, and make new, or relive, amazing discoveries at popular must-go places. On the north-western tip of the South Island lies Nelson, a city abuzz with artistic energy, thanks to the creative folk and craftspeople who have set up their studios and galleries there. They draw inspiration from its multifarious natural setting that features pristine forests, rugged peaks, lovely glacial lakes and shimmery seashores. Enjoy the best of New Zealand with Air New Zealand’s daily direct flight — via a Boeing 787-9 Dreamliner — from Singapore to Auckland, which connects to 22 domestic locations within the country. Premium Economy and innovative Economy Skycouch. The latter is a row of three seats that converts into a at surface that allows the exibility to turn it into a rest or play area. To find out more, check out #AirNZonTour on Aug 20 and 21 at VivoCity, and Aug 27 and 28 at Plaza Singapura. At the roadshow, get to experience the beauty of the country via virtual reality, try out the Premium Economy seats and the Economy Skycouch, and find out the best travel packages available. Don’t miss it as you stand a chance to win a trip for two on Air New Zealand. Home to three beautiful national parks, Nelson is a popular choice for hikers, even novices. The good weather all year round is a bonus. An excellent start is Nelson Lakes National Park, a 102,000ha stretch of beech woodlands that lead you to Instagram-worthy views of the Rotoroa and Rotoiti lakes. Give white water rafting or jet boating a go at nearby Murchison. While the Nelson Lakes gives you a taste of New Zealand’s magnificent alpine country, the Abel Tasman National Park leads you to a beachfront paradise. Its popular coastal track is one of the country’s “Great Walks”. You can opt to do part of the sightseeing on a water taxi, with various pick-up and drop-off points along the tracks. You can also go kayaking to discover headlands, coves and islands as you paddle the waters off Astrolabe Roadstead and Anchorage Beach, and look out for Blue Penguins and other seabirds. Or hop on a helicopter for a bird’s eye view of craggy ranges, alpine meadows and tropical valleys at the famed Heaphy Track in Kahurangi National Park. Nelson’s sunny waterfront climate has infused local Sauvignon Blanc and Chardonnay with a refreshing yet intense flavour, and given Pinot Noir a distinct vibrant, supple character. Many vintages, notably from Neudorf Vineyards and Kaimira Estate, have garnered international fans. Wine aside, you can savour fresh seafood — smoked on site or served as organic café bites — that will please every palate. And with many restaurants offering panoramic views of the ocean, al fresco dining here makes for a memorable experience. Just a little more than 10 hours by car from Nelson Central is Lake Taupo, which is almost the size of Singapore. Formed from a volcanic eruption 2,000 years ago, its geothermal phenomena are a must-see attraction. Craters of the Moon is a geothermal attraction that makes for an unforgettable sight, with its fiery boiling mud, eerie steam clouds and sulphurous whiffs. From the wooden walkways, you can venture closer and revel in this marvellous example of Nature’s power. Lake Taupo is also home to Huka Falls, where the Waikato River squeezes through a valley of volcanic rock. At the footbridge at the top, you can literally feel the force of 220,000 litres of water blasting by and thundering over the cliff every second. Less menacing but no less memorable are the lakeside walking trails. Embrace the beauty and serenity here, as you admire the idyllic setting from numerous viewing spots. If you are not already spending half the day taking photographs to capture these precious memories, other ways to make the most of your holiday in Lake Taupo include hiking, picnicking, swimming, cycling and fishing. Bay of Plenty, which Captain James Cook so described when he arrived in 1769, continues to capture the imagination of holidaymakers the world over with its delightful produce and golden coasts. Less than two hours’ drive from Taupo, Bay of Plenty is where visitors make their base when they want to visit White Island. The latter is New Zealand’s only active marine volcano — estimated to be between 150,000 to 200,000 years old, with its highest point at 321m above sea level. 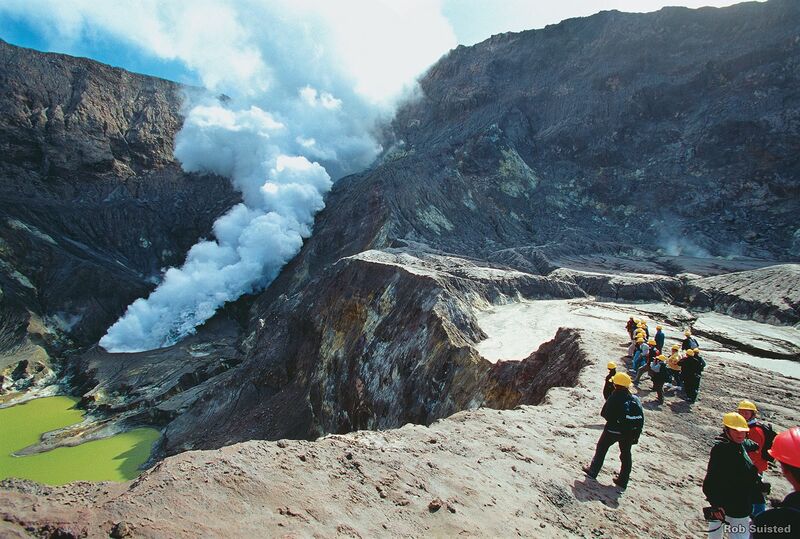 Since 70 per cent of its structure lies beneath the ocean, the inner crater is accessible to visitors, who don hard hats and gas masks to view the deafening steam vents, searing volcanic streams and bubbling mud pools. White Island Tours offers a six-hour itinerary that includes a cruise, guided tour, and a light lunch. The warm, sheltered waters of Bay of Plenty attract avid swimmers, including dolphins, seals, whales and orcas. Dolphin Seafaris Tauranga puts together an exciting five-hour itinerary that allows you to not only watch but also swim alongside these mammals. Rounding off the bucket list is another unique activity — blokarting. 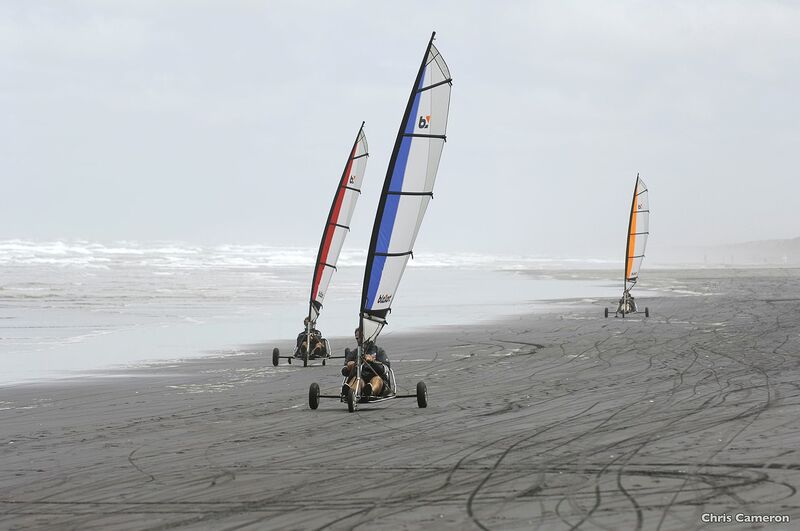 A sailing yacht with wheels, the blokart can hit speeds of up to 100kmh. Book a session at Blokart Heaven and get ready to ‘fly’ on land. Visit www.newzealand.com/sg for more information.